Objective Ocean eddy recognition has become one of the hotspots in the field of physical oceanography research. The rapid and continuous change of ocean eddies brings great challenges to their accurate recognition research. On the one hand, the ocean environment that causes the ocean eddies is complex and variable. On the other hand, ocean eddies undergo rapid and continuous change, which cause dramatic changes in the morphological structure and motion state during their movement. With the development of high-aging and large-scale Earth observation technology, it provides a rich data foundation for the research on the rapid and continuous change of ocean eddies, which greatly promotes research on ocean eddy recognition. However, traditional manual visual recognition methods have significant limitations. It is an impossible task to artificially recognize ocean eddies one by one in a large data set, and the manual visual recognition of ocean eddies is influenced by subjective judgment. Traditional methods have significant uncertainty in ocean eddy recognition results due to subjective difference, which form unstatistical errors. Therefore, the use of computer technology to automatically recognize ocean eddies is important. Ocean eddies leads the ocean water to gather or scatter, causing obvious changes on surface roughness. 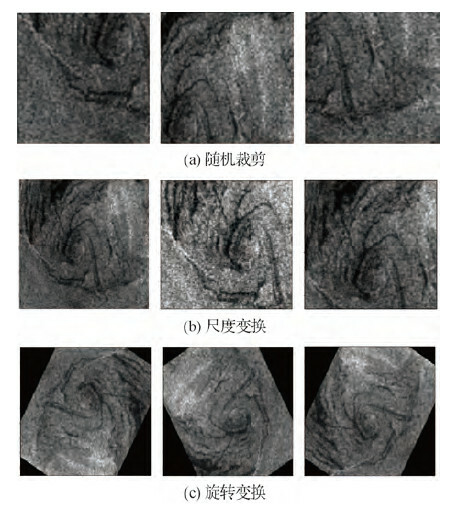 The irregular spiral structure in SAR images shows bright or dark stripes. It has rich texture features and contour, which provides an abundant feature of the ocean eddy recognition information. Traditional ocean eddy recognition methods are mainly based on the physical parameters, vector geometry, or the hybrid of these two methods with specific threshold value. These methods can achieve good results in certain ocean areas. The selection of threshold is mainly influence the recognition accuracy of the traditional method largely. In addition, the morphological structures of ocean eddies greatly vary under different ocean states. Moreover, the complex and variable environment causes the rapid and continuous change of ocean eddies. Therefore, it is difficult to determine the suitable threshold in traditional method. Methods that set thresholds based on expert knowledge are subjective and uncertain, which often lead to omission, misjudgments, and lack of generality. To solve these problems, we propose an automatic ocean eddy recognition method with generalization ability based on multi-feature fusion in complex environment. Method Our method includes data-preprocessing, feature extraction, multi-feature fusion, and classifier training. First, the dataset, including randomly clip, scale transform, and rotation transform, is extended through data-preprocessing to improve the robustness of our method. We derived our data set from SAR images generated by the ENVISAT and ERS-2 satellites between 2005 and 2010. In this paper, 136 SAR images with and without ocean eddies are included in the data sets. In actual applications, the construction of large-scale data sets requires high labor costs, especially the construction of ocean eddy data sets. Moreover, it has high requirements for data set builders, and the difficulty of construction the data set is intensified. Adequate and diverse data sets are the key to the recognition algorithms in the field of image recognition. Therefore, we use the data augmentation method to extend the data set before the ocean eddy recognition method. Second, the gray-level co-occurrence matrix (GLCM), Fourier descriptors (FD), and Harris corners features are extracted. Ocean eddies in SAR images have abundant features, such as shape, texture, and color characteristics, but a single feature is not enough to accurately recognize them because of complicated ocean state, weather changes, equipment disturbance, and various interference. GLCM can represent the comprehensive information of the image on the direction, interval, change range, and speed. FD is related to the size, direction, and starting point of the shape according to the properties of the Fourier transform. In areas with rich texture information, the Harris operator can extract many useful feature points, whereas in areas with less texture information, fewer feature points are extracted. It is a relatively stable point feature extraction operator. Then, we extract the averaged GLCM feature and utilize principal component analysis (PCA) to reduce the features dimensions of FD descriptors and Harris corners. 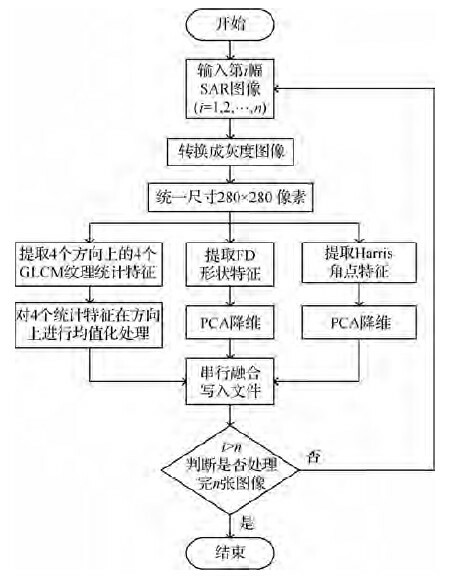 In the calculation of the GLCM feature, the value of the direction considers four conditions at 0°, 45°, 90°, 135°, representing east-west, northeast-southwest, south-north, and southeast-northwest, respectively. 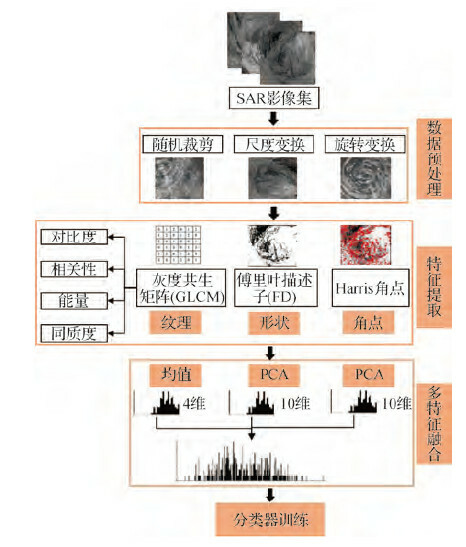 The dimensions of the FD and Harris are reduced using PCA, because their features are too high, the learning time of classifier will be very long, and the classification ability is decreased. Third, the processed feature vectors are serial fused. Finally, the recognition of ocean eddies is achieved by the classifier. In this paper, 10-fold cross-validation is used to test the accuracy of the algorithm. Simultaneously, three typical classification algorithms are adopted including support vector machine), decision tree (DT), and multi-layer perceptron. Result The results indicate that the accuracy of the proposed method based on multi-feature is higher than that based on single feature methods, and the recognition accuracy of the DT classification algorithm is the highest, reaching 86.904 5%. The PCA dimensionality reduction method can effectively improve the recognition accuracy. The FD and Harris feature dimension are reduced by PCA, and their recognition accuracy is improved from 83.906 0% to 86.904 5% and 84.009 7% to 85.354 7%, respectively. Moreover, their robustness to a variety of morphological changes of ocean eddies is good. Conclusion This method can be used to distinguish whether the SAR images have ocean eddies. It fuses three kinds of image features, including GLCM, FD, and Harris corners, which effectively overcomes the shortcomings of traditional methods based on threshold setting and single feature and improves the recognition accuracy of ocean eddies based on SAR images. Hence, multi-feature fusion improves the recognition accuracy to a certain extent compared with single-feature recognition. Our method is suitable for the recognition of ocean eddies in complex environment and has generality. Jin H, Yang X M, Gong J M, et al. Automatic eddy extraction from SST imagery using artificial neural network[C]//Proceedings of the International Archives of the Photogrammetry, Remote Sensing and Spatial Information Sciences. 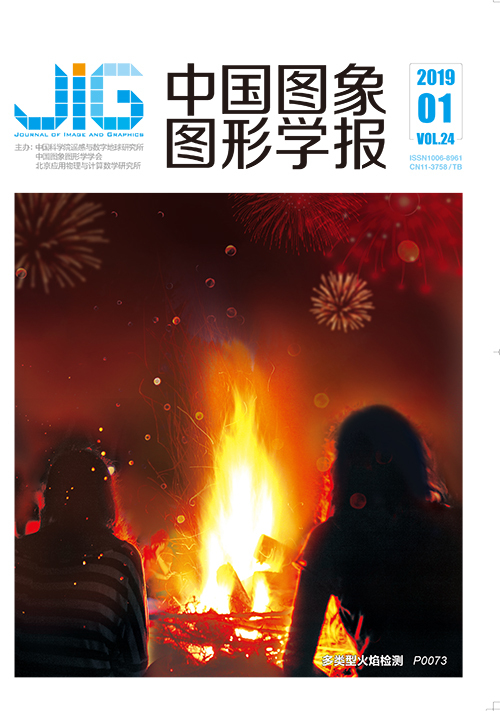 Beijing, China: ISPRS Archives, 2008, XXXVⅡ(B6b): 279-282. Franz K, Roscher R, Milioto A, et al. Ocean eddy identification and tracking using neural networks[EB/OL].[2018-05-06]. https://arxiv.org/abs/1803.07436v2. Liu A K, Zhao Y, Hsu M K. Ocean surface drift by wavelet tracking using ERS-2 and envisat SAR images[C]//Lacoste H, Ouwehand L. Advances in SAR Oceanography from Envisat and Ers Missions. Frascati, Italy: European Space Agency, 2006: 613.